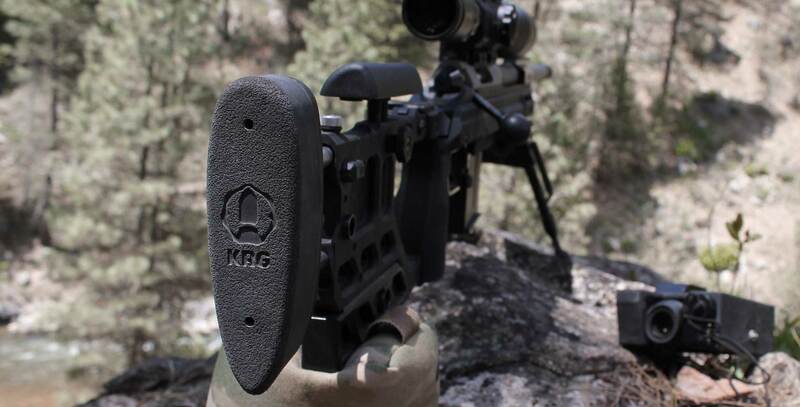 The KRG logo buttpad is among the best we've used for both form and function. It's made from a proprietary material that is comfortable, durable and helps absorb recoil. 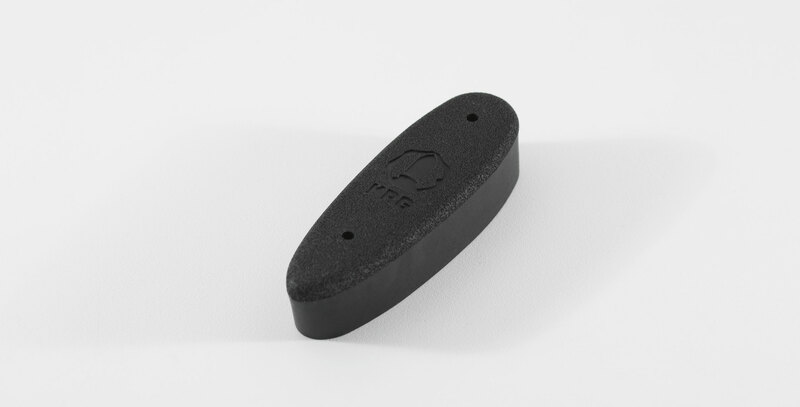 It has a pleasing appearance and is lighter than the buttpads used on some previous KRG chassis. 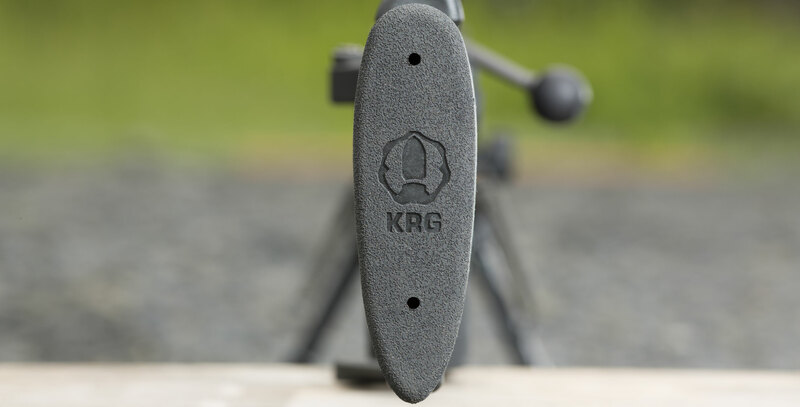 This one displays the KRG logo on the back and will retrofit to all KRG chassis. It's generally a Remington 700 pattern so it fits some other stocks.